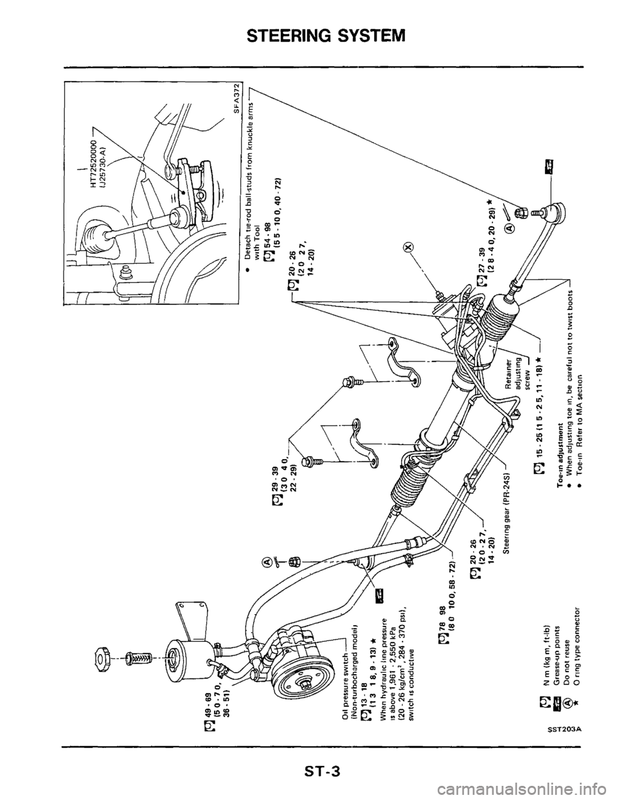 STEERING SYSTEM . . . ... .. 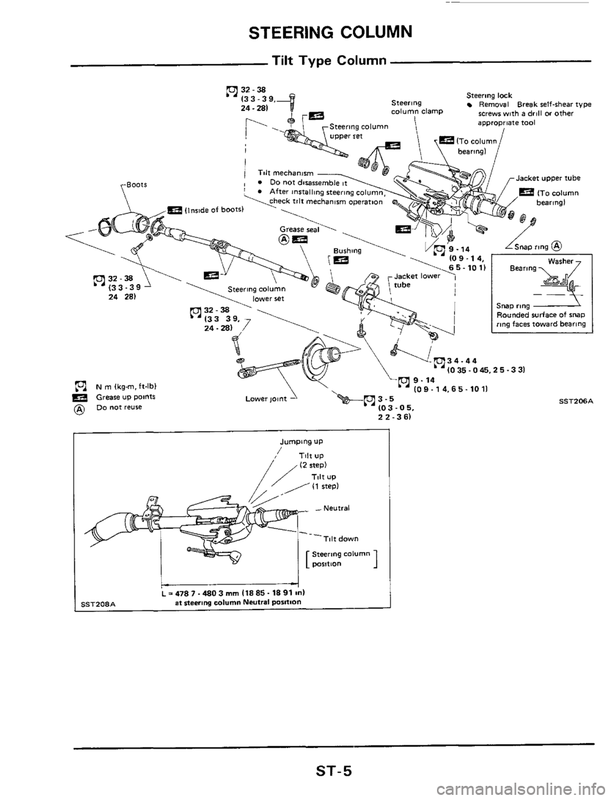 STEERING COLUMN . 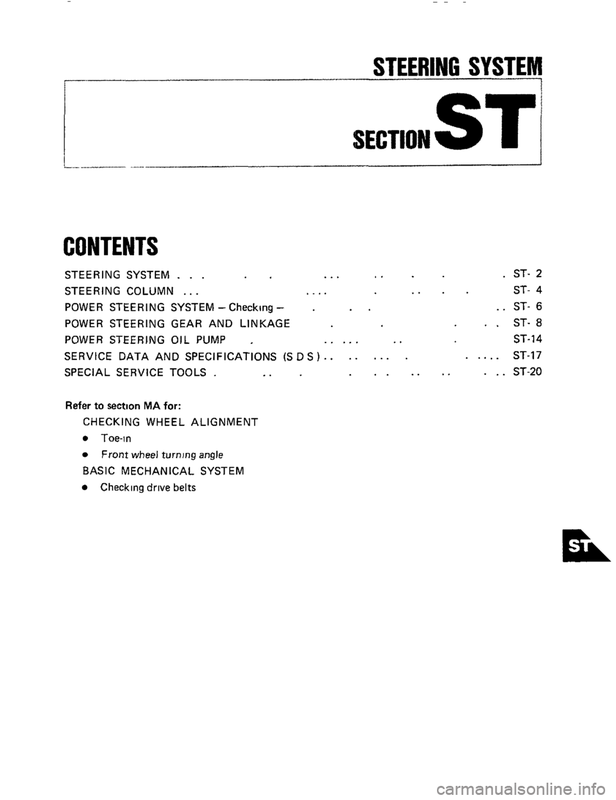 . . .... ..
POWER STEERING SYSTEM -Checking - . ..
OIL PUMP . 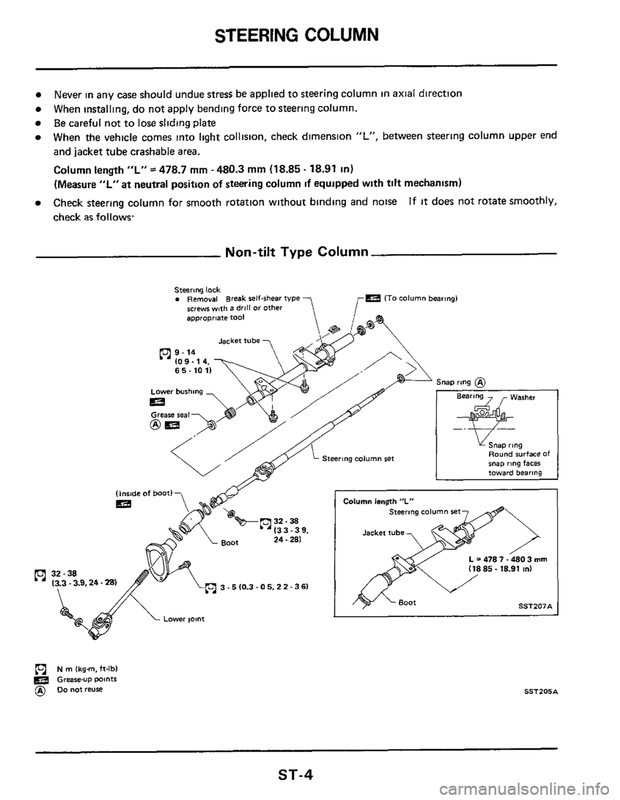 .. ... ..
SERVICE DATA AND SPECIFICATIONS (S D S ) . . . . . . . .
SPECIAL SERVICE TOOLS . 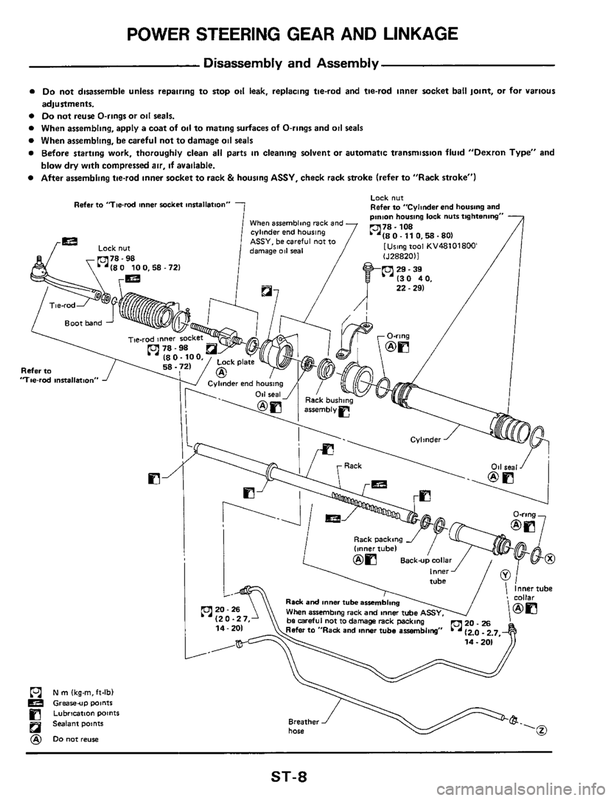 .. .. ..
a Do not reuse O-ring in hydraulic system. 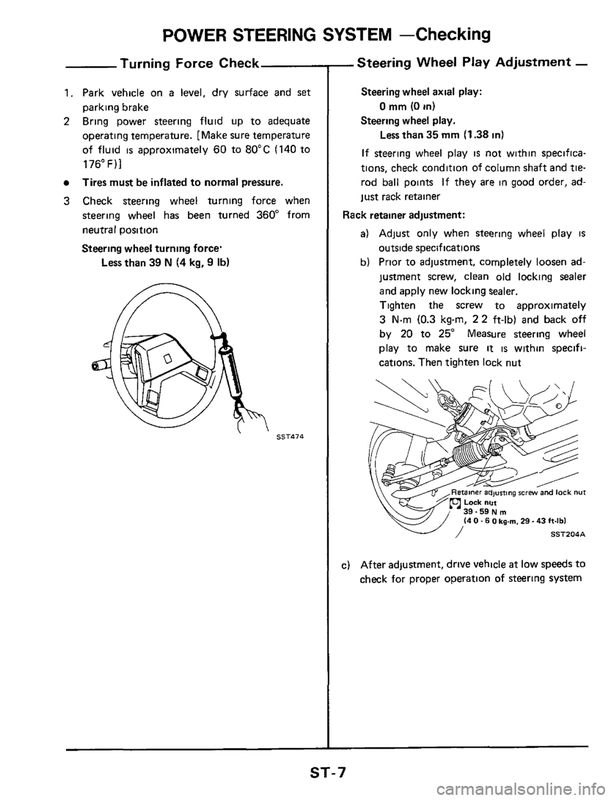 When installing, do not apply bending force to steering column. and jacket tube crashable area. 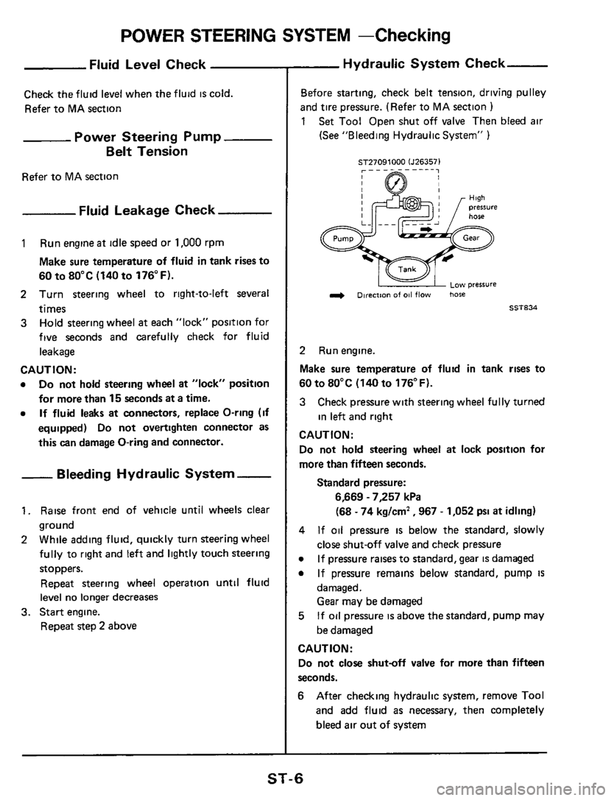 Check the fluid level when the fluid IS cold. 60 to 80°C (140 to 176°F). for more than 15 seconds at a time. this can damage O-ring and connector. Tires must be inflated to normal pressure. and apply new locking sealer. 0 Do not reuse O-rings or oil seals. blow dry with compressed air, if available. 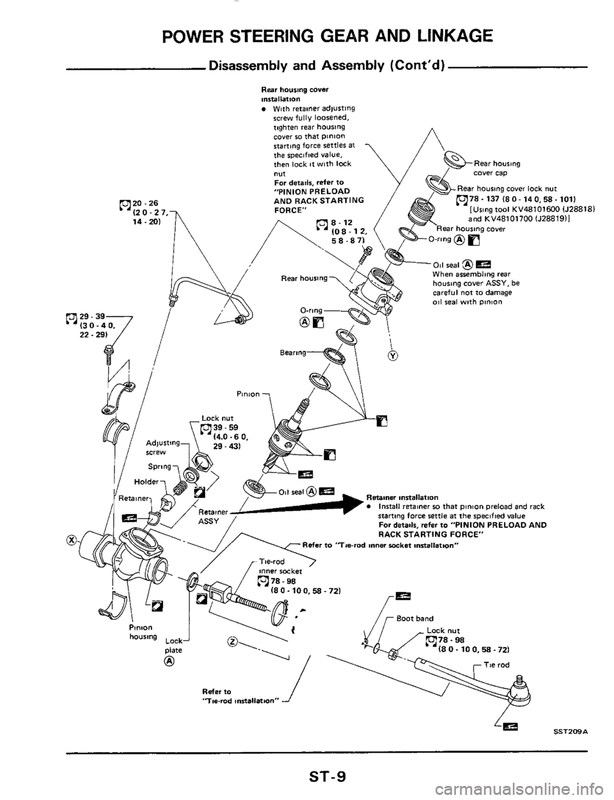 Refer to "Cylinder end housing and Refer to 'Tie-md inner Locket mtallation"
be careful not to damage rack packing inner tube anernblong" (91 (2.0.2.7. Rear hourmg cover installation Wlth retainer adlusting screw fully loosened. 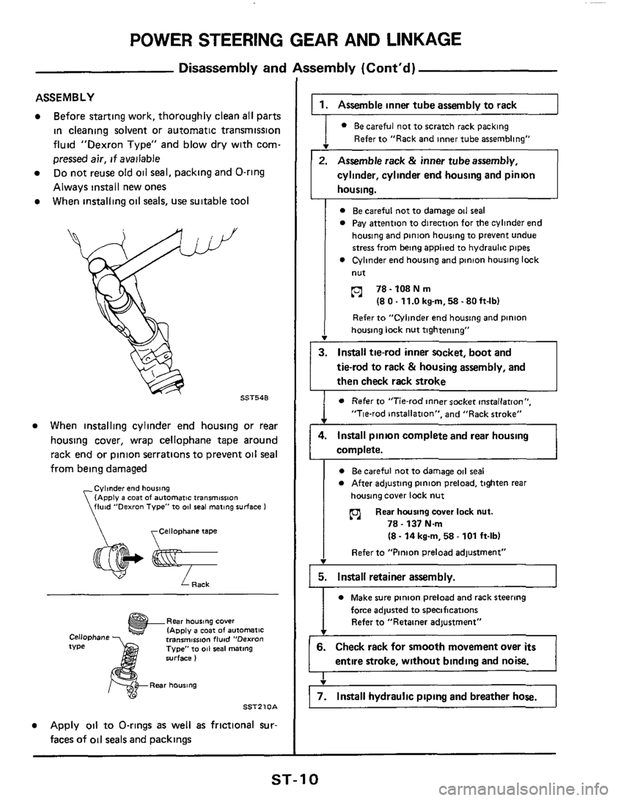 Refer to "Tie-rod inner socket mmllation"
"Tie-rod installation", and "Rack stroke"
Apply oil to O-rings as well as frictional sur. Rear housing cover lock nut. 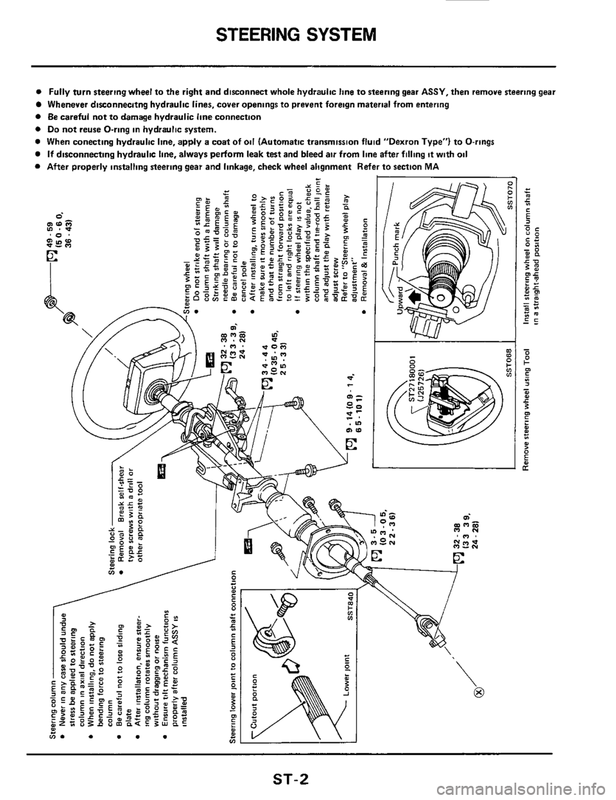 Refer to "Pinion preload adjustment"
7. Install hydraulic piping and breather hose.